Book Review can be found here. Some of this material is over my head but at times it is thought-provoking. White hot in certain plot points and pretty slow in others, I was more than stunned by how adult it was. Even though it advertises itself that way it was more extreme than I anticipated. 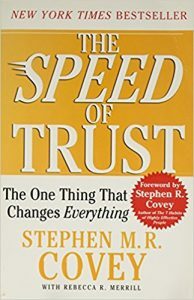 One of the shortest books I’ve read this year, it is a true sledgehammer to my soul and to my ego in how it challenges me to do more. A crucial concept that will help me be a better pastor. A classic I had not read in probably 20 years, this novel has messed with my head both times I read it. I wish this book would have been written after the 7th Harry Potter book instead of the 5th. 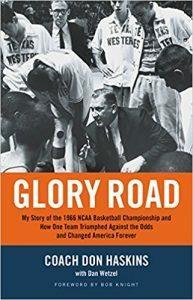 Fantastic autobiography that sports fans and civil rights students should read. The book is 150 years old but reads very modern. Leviticus deserves this excellent a treatment! The book is good; the pages and pages of citation material in the back are incredible. 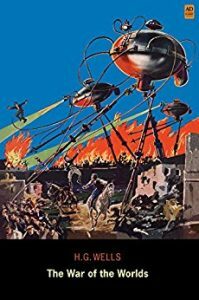 Since the 1897 publication of the War of the Worlds, there have been several movie adaptations of the story. Of these, I have seen the 1953 version and the 2005 Spielberg version. While I thoroughly enjoyed the 2005 film, it is quite a different story than the book. All of the basics of the setting are there, but the human stories are very different. In addition, the book is much more detailed and descriptive. It also has a more complex format with there being two parts to the entire story, with the first part following the stories of two brothers in separate adventures. If you choose to join the adventure, be warned that it will not read like a contemporary sci-fi novel. It is more scientific in description and almost impersonal in how it unfolds, but it leaves little question why H.G. Wells is considered one of the greatest science fiction of all time. I have known of Larry Norman for many years. I was familiar with many of his songs and even saw him in concert at a festival once. 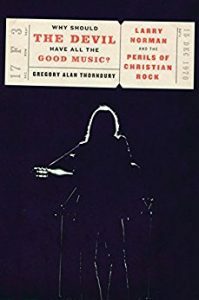 I was intrigued by his life and place in Christian music history and had been anticipating the release of this book for at least a year since I first heard about it. With all that being said this book still exceeded my expectations. Norman led an incredibly interesting and eventful life. His influence far exceeded his actual record sales. Thornbury captures that, noting that everyone from Bob Dylan to Bono of U2 considered themselves Larry Norman fans. Thornbury also refuses to shy away from Norman’s personal failings. He paints what appears to be a thorough, well researched, and balanced portrait of the godfather of Christian Rock and Roll music. This is a must-read for anyone who cares about the history of Christian music. I would also recommend it to those interested in the cultural upheaval of the 1960s and 1970s since it intersects with wider cultural events at times. Even those who simply enjoy a well-written biography would find much to like here. 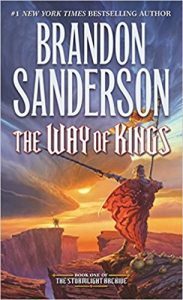 This was my 3rd time reading The Way of Kings and my second time through Words of Radiance. If you don’t like epic, world-building fantasy, you can skip this review. If you enjoy this sort of thing, there is no one writing better books in this genre than Brandon Sanderson and there is no better current series than The Stormlight Archive. Sanderson has this whole thing worked out in his head, which I find baffling and impossible, but when you read these gigantic, 1,000 page books, you realize that is not a joke or a lie. He does have it all worked out. I can’t get my head around the depth and complexity of the plot, even though I am only reading it and not trying to create it. These stories take place in a world of magic, tradition, war, politics, and racial and ethnic oppression. 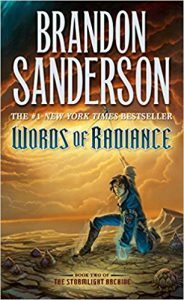 Sanderson takes his time to create living, breathing characters with real problems, real inner worlds, and real connections to each other. I’m currently reading the third book in the series, Oathbringer, and it is just as good and satisfying as the first two books. Sanderson is a master at his craft and I am more than happy to hang on for the ride. If you have read Christian parenting books, there is probably not much “new under the sun” in this book. That doesn’t lessen its impact. Rienow writes with humility and authority, both traits making his advice and teachings all the more powerful. I recommend that all parents read this challenging and encouraging book. It’s a quick read too, so there really is no reason to skip it. 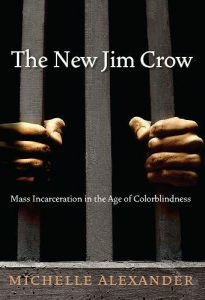 One of the most intelligent, thought-provoking, spiritually challenging books I have read. I recommend it to everyone who will listen but it is not an easy sell. If you have an aversion to sci-fi, the plot of the book has the potential to really turn you off, but the story is about so much more. 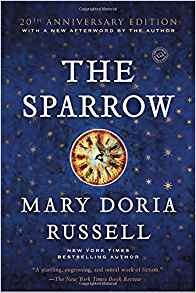 It’s a story about a group of Jesuit priests and a few others who discover music that is being transmitted from a far away galaxy, and they decide to journey there to meet God’s other children. It is beautiful and heartbreaking. 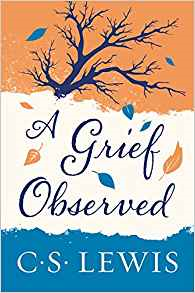 I recommend this short read to anyone who is going through a season of loss in their life, whether a loved one you have known for some time or a loved one that you never even got the chance to meet. 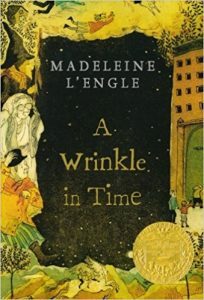 I began reading the Time Quintet in response to hearing about the A Wrinkle in Time film before it was released in theaters. I somehow had managed to not read it as a child, and I wanted to read it before watching the movie. I loved the book but never managed to make it to the theater to watch the movie. I appreciate that these books are children’s fantasy stories with overtly Christian references yet don’t shy away from scientific principles. It presses all the right buttons for me. I look forward to my children reading these books because of the emphasis on certain character traits it would encourage within them: love, humility, faith (and reason), loyalty to friends and family, courage, personal responsibility, creativity, empathy, and sacrifice. I have finished the first two books (and enjoyed them immensely) and hope to finish the other three in time for our next “Reading Ever On” article. Timothy Egan’s The Immortal Irishman, a 2016 biography of Thomas Meagher, is a gripping narrative that reads more like a novel than traditional history or biography. 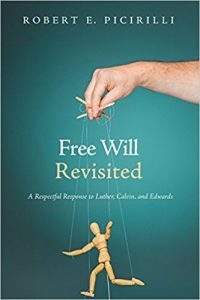 It’s clear that Egan did meticulous research, but unlike many historians, he is able to convey his findings in a way that compels his readers to keep turning pages. If you are looking to read up on Irish, Australian and American history, you can do it all by reading this book. Who was Thomas Francis Meagher? That depends in what part of the world the question is asked. In Ireland, he was a leader of the failed Rising of 1848 and creator of their tricolor flag. When thousands of Irish were starving during the time of the potato famine and British indifference, the Young Ireland movement sought freedom from British oppression. The patriot-poet Meagher was a key voice for home rule. In Australia, Meagher was a convict, but so was nearly everyone else. Arrested by the British for his involvement in the uprising of 1848, Meagher was banished from his beloved homeland, a sentence worse than death. After his adventures in the British penal colony, Meagher dramatically escaped to a new life in America. In America, Meagher was an immigrant. Instantly, he was a leader of the maligned Irish-catholic immigrants of New York City. They came over to escape starvation. These huddled masses overwhelmed the bottom rung of the social ladder. Through speeches in lyrical Gallic and elevated English (with sprinkles of Latin or Greek) Meagher’s poetic prose spoke to the soul of his exiled compatriots. But for what cause? Would Ireland ever be free? What about the cause of freedom in their newly adopted land? Meagher’s opportunity for historic greatness (a calling he always put above wealth) came in the American Civil War. Meagher became the Brigadier General of the Union’s Irish Brigade, a group recruited by Meagher from the tenements of New York. They fought bravely in such well-known battles as Bull Run, Antietam, and Fredericksburg. In so doing, they liberated African-American Slaves and preserved the integrity of the nation they could now call theirs. Meagher’s life ended in the Wild West, as the appointed governor of the Montana Territory. Here he clashed with vigilantes and Natives alike. Here he died, according to Egan, murdered by a political enemy. While he was indeed flawed, he was, more importantly, a man of high ideals. He squandered his health and wealth for the cause of freedom and the pursuit of greatness, goals which he certainly achieved. Egan’s ability to tell this story, to connect the dots of a life over three continents, is a marvelous feat. While Egan struggles at times to capture the personality of his subject, he masterfully connects Meagher’s life experiences to the larger historical situations. In so doing, the reader not only learns about the life of a man, but the times that continue to shape our time. Only 320 pages long, The Immortal Irishman, should be at the top of your summer reading list. I wrote about the first book in this series last month and I finished the other three in March. They are excellent and get better with each volume. They will be added to my rotation of favorite fantasy series, of which I read at least a little every day. 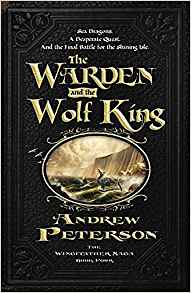 This one has my favorite scene of the Wingfeather Saga, when Janner faces a situation so dark and discouraging it was like Andrew Peterson read my journal from my worst days and made it into a fantasy plot. This book is hard to put down start to finish. 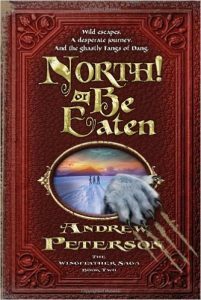 The action-packed adventure continues in the third installment and it gets really good with the three main character siblings starting at a new school. Having done this before in my personal life, I was enthralled. And the climax, centering around the book title, is wild and unpredictable. I am ready to read this again. Peterson set the bar high in the first three and the pay off in this concluding volume (much longer than the other books) is worth it. There are secondary characters developed in an alternating scene (this happens in prior books but not as in depth as this one). I admit I didn’t appreciate this as much as I could have if I had loved those characters as much as the main ones, but the overall story and ending is emotional and satisfying. I recommend this series to anyone who loves Narnia, Hogwarts or Middle Earth or even if you do not. 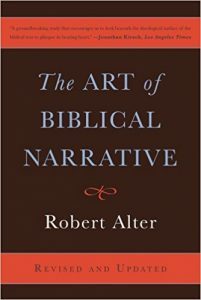 Written by a Jew and rather short for a volume on biblical interpretation (183 pages, since it focuses on one genre of the Bible), the thinking in this book is levels beyond what I am capable of and I thoroughly benefited as a result. A professor at Moody recommended it to me years ago as a book way out of the common Christian sphere on the topic and this was at least my third reading. 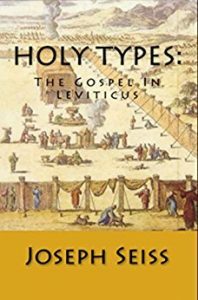 Highly recommended for hermeneutics junkies and anyone interested in how to get into the world behind the Bible text to get its meaning. If nothing else, I would read it just to see how the author explains why the Genesis 38 story of Judah and Tamar interrupts the Joseph narrative. I’m nothing if not teachable so I read this in an attempt to try to understand the thoughts behind many who maintain that there is still a significant amount of racial injustice in the US, notably in the judicial system. As a white male I want to read what people who think differently than me have to say but also to filter it critically. Weird and random is my wheelhouse and so this trilogy of children’s books has been my absolute favorite since the late 80s when they first came out. You have a boy who counts with the wrong numbers but always gets the right answer. You have a girl who loves dead rats. You don’t have a 19th story to your building (the builder said he was very sorry). 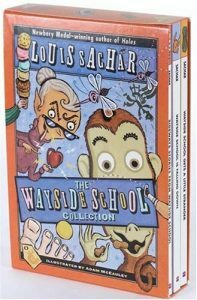 The original, Sideways Stories from Wayside School, was so popular Sachar wrote the sequels due to an avalanche of fan demand. I wish he’d never stopped. Wayside School Is Falling Down and Wayside School Gets a Little Stranger take the character development of the first book and add in zany and nonsensical plots that make me laugh and leave me giddy. Perfect reading for small kids who love silliness and for adults who are under great stress (hand raised for me these days buying my first house), I will be reading these til I die. I can’t wait to read them to my kids. Just a few days ago I reviewed Goblet of Fire, which you can see here. I will dispense with regurgitating everything I said, but I will warn you once again that you should be prepared for a big book. But that will very likely mean nothing even if you are, like me, normally a very, very slow reader. What would usually take me several months to read, only took me a little over one. And I promise you won’t regret the adventure. There is a nearly seamless flow and flawless writing from section to section. The only flaw in this book is Rowling’s traditional information vomitation courtesy of our big baddy Lord Voldemort. 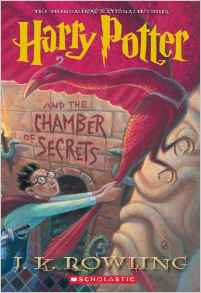 If you haven’t read The Sorceror’s Stone, The Chamber of Secrets, and The Prisoner of Azkaban yet, you will want to read those classics first before delving into this masterpiece. 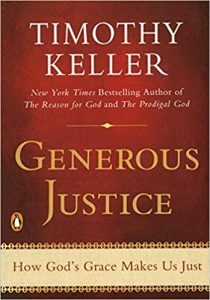 I am not a Calvinist, but I firmly believe I am predestined to enjoy anything that Keller writes. Whether he is discussing prayer, dealing with pain and suffering, or the importance of work in our lives I always find his books thought provoking and convicting. That being said, I especially like the way he handles apologetics. 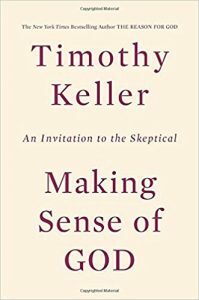 His newest book, Making Sense of God tackles many common objections that religious skeptics have and explains how rational and reasonable the Christian faith really is. Keller doesn’t belittle those he disagrees with and always presents his arguments in a calm, measured tone. I also appreciate how he is more focused on the big picture than trying to prove each and every small point. 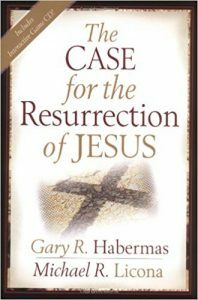 This is a good read for believers and skeptics alike. This is the third installment of a four book series. It’s the second series set in the Mistborn world. At this point, Sanderson is working at a level most authors would envy. His writing is at turns exciting, intense, funny, emotional, and always interesting. 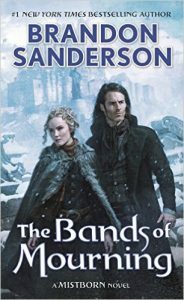 With great characters and a wonderfully complex plot, The Bands of Mourning is further evidence that Sanderson is at the top of his game and he isn’t going anywhere any time soon. The Pendragon Cycle is Lawhead’s unique take on the Arthurian legends. 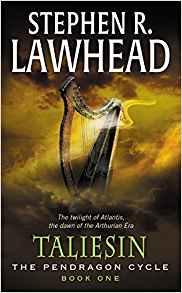 He weaves the myth of Atlantis with Fifth and Sixth century Britain to create a world that is both believable and fantastic all at the same time. The story is engaging and vibrant. The themes are rich and complex. The characters are bigger than life yet completely relatable. I’ve read this series at least seven times and I never tire of venturing back into the world of bards and warriors, princesses and prophets, priests and kings. I am continuing to read this series with my sons (their first time, my billionth), and they are continuing to enjoy it immensely. 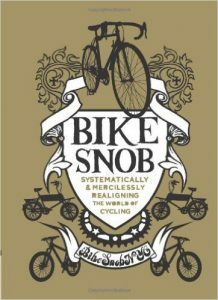 Check out fellow REO contributer Ben Plunkett’s review of this book here. 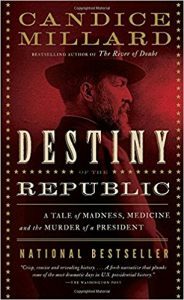 I didn’t really know anything about James Garfield, other than that he was a president of the United States and was assassinated, before reading this fascinating book. Not only does the author tell Garfield’s history, but she also includes a biography of his murderer, Charles J. Guiteau, and a selective biography of inventor Alexander Graham Bell who worked tirelessly to help save Garfield’s life. In addition to the political history, this book also explains much of the scientific and medical history of that time and how the medical practices of that time especially may have contributed to Garfield’s death. The story of James Garfield the man was absolutely captivating. He could have been one of the greatest leaders of our country rather than being remembered only for having died while in office. I hope to find a good biography on Alexander Graham Bell to read soon. 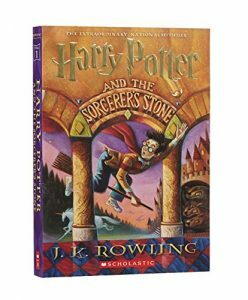 The Harry Potter books have been climbing in page length ever since The Sorcerer’s Stone. The biggest gulf is between The Prisoner of Azkaban and the present book, Harry Potter and the Goblet of Fire. 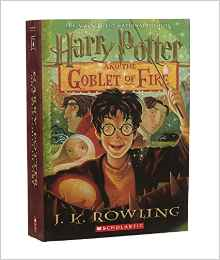 Like the massive fifth book, Harry Potter and the Order of the Phoenix (which I will review at a later date), the 734-page The Goblet of Fire is a veritable Monster Book of Monsters. I freely admit that I am a very slow reader and that it would normally take me six months to read a book this size. It says a heaping helping about it that I finished it in just over a month. I’ll go ahead and say it: The first 145 pages are a masterpiece, with the Weasley’s reigning supreme. I could have spent the entire book with that family—especially Mr. Weasley. His encounter with the Dursley’s in the fourth chapter (“Back to the Burrow”) is one of the funniest incidences…ever. But this is not the only reason these pages are awesome. 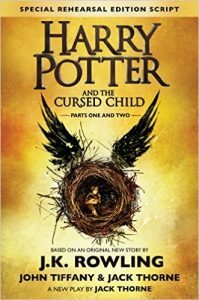 There is a nearly seamless flow and flawless writing from section to section: The dark opening with Voldemort and Pettigrew; the Dursley and Weasley encounter; the International Quidditch Cup; and the debacle with and introduction to the Death Eaters. Yeah, for this bit Rowling surely summoned the superhuman writing powers. But like Superman, Rowling has her kryptonite: tedious information relation. What makes it especially ridiculous in Goblet of Fire is that it is done this time by Lord Voldemort, making him come across like the stereotypical villain who has to reveal his whole long story so the hero has time to foil his plans. That is pretty much exactly what happens here. While I loved the scene, it was kind of ruined with Voldemort makes his tedious rant: “First I blah, blah, blah” then I “blah, blah, blah” then “This really long thing happened” and “blah, blah, blah, etc., Mwahahahaha!” All of this leaving Harry ample time to formulate and carries out his escape plan. I more often go in for the view that with works of writing less is more. The writers of smaller works have successfully honed their craft, cutting out all fat of any kind. This certainly does not mean that a longer work can’t be great. The Goblet of Fire is a perfect example of this happening. Rowling is one of those authors who absolutely needs room to spread her creative wings and shows that more can really be more. The abundance of space here not only allows her to completely flesh out the central Triwizard Tournament plot but also to flesh out more amazing side plots than you can shake a stick (or wand) at. But like all of the preceding books, the fault I mentioned was still far, far outweighed by the greatness. In part because of the first 145 pages, but also almost every single paragraph, character, and plotline of the following 589 following pages, this is definitely my favorite of these first four classics. I reviewed the play here and some of my thoughts are similar about the screenplay being in book form. It’s a quick read for a Harry Potter book, since it’s not really a book (308 pages that I knocked out in a day. Other than the first two I never knock out a HP book in a day). There are pros and cons to this that are obvious and more covert: Potterheads long for more canon material but this wasn’t written by Rowling alone, which does irk me a little. It is designed for the stage and so only reading the script causes the reader to miss some key things, like effects and nonverbal communication. Scorpius’s impact most notably suffers from not seeing the play live. Yet those who cannot or choose not to go to London want to experience it, so they sold it as a book. As I said in my play review, they reintroduce a lot of the original stories. It has the same feel as going back home to my parents house and seeing that they’ve knocked down a wall or redone the bathroom. It’s weird, but not in a bad way. Overall, it is a fun read and I’m not haughty enough to say it’s a must read for fans of the series, but it does have Rowling’s stamp of approval and it is able to both add to and honor the heart of the original works. I’d much rather have a 7-book volume on Harry’s parents and Snape but I will take whatever I can get from this already classic fantasy series. 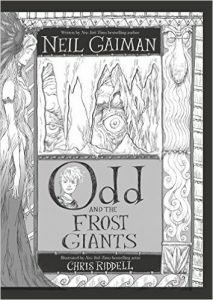 With a fairly hearty endorsement from many on the staff of REO, I bought this book last Fall in an attempt to stretch myself in fantasy reading outside of the same three authors I continuously read. My first attempt didn’t get very far: it’s certainly a unique opening and out of my Tolkien-Lewis-Rowling comfort zone. Filled with a brand new world and described often by footnotes, I got bogged down. But I tried it again this month and I pressed on and by mid-book I was hooked. Entertaining characters, cliffhanging chapter endings, a classic good vs. evil thread that runs through it…it’s got it all. The story resets itself often – it seems an adventure is about to begin but it stalls for the greater story being told. The ending was not quite as enjoyable as other similar works. And while not close to graphic, there is violence and death, which surprised me based on the assumed young target audience for the book. But overall I like it and recommend it. 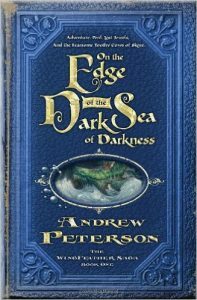 Andrew Peterson’s skill as a storyteller in song transfers admirably to children’s fantasy. A year ago, I released an article for REO on how I talk to my wife and talked about sarcasm. This spawned a discussion where fellow contributor Michael Lytle told me about a book that made the case that sarcasm isn’t always a bad thing. I finally got around to reading this best seller this month. I’m to the point in my life where I don’t mind having my pre-understandings turned upside down if presented with logic and research and practical examples. 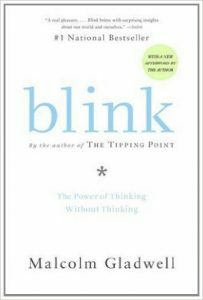 This book does exactly that on the topic of how we think, evaluate and make decisions. Can you learn more about people better from seeing their room for 20 minutes than from interacting with them for a year? If you are a fan of Sherlock Holmes or similar works in that genre, you will probably like this. This has been called the “must read” book of the year. 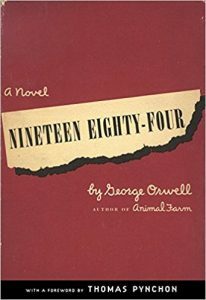 Some have claimed that is the best book to read if you are wanting to understand how Trump could have won the election. I have no idea if either of those things are true, but I will say this was a fascinating book. Based on what I had read ABOUT the book I was expecting more social and political commentary. While the book did have some of that, it is really just one man’s story, and that is not a bad thing at all. 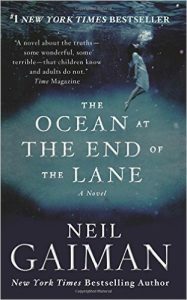 The themes of the book really hit home with my family having just adopted a child who was born into the exact type of environment this book describes. Mamaw and Papaw have quite an extensive vocabulary so be warned that the language gets pretty rough in places. I loved Freakonomics, the first book by this writing team. I was about 10 years late to the party in reading that book but found the information to be very interesting. I may not agree with all their conclusion, but I love their unconventional way of looking at problems. 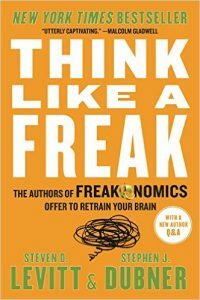 Think Like a Freak is not quite on the level of Freakomomics but still very much worth your time. The authors have a way of taking subjects that I did not even realize I was interested in and making them enjoyable and informative. Any book with a chapter titled – “What do King Solomon and David Lee Roth have in common?” will always have a place in my heart. I started reading this in 2015. I got about halfway through and gave up on it. 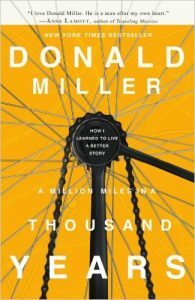 There were things about it that I really loved but Miller’s writing style frequently got on my nerves. He makes great effort to sound dumb and intelligent all at once and it doesn’t work as well as he thinks it does. I finished it last week and my feelings really didn’t change much in the intervening years. I wish I had better things to say about it. I just didn’t connect with it. This was the second time I read this book and I walked away more impressed than ever. 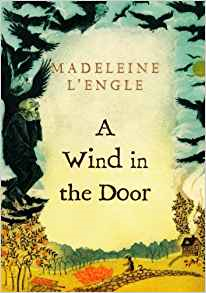 L’Engle not only tells a thoroughly interesting story, but infuses it all with so much heart it’s hard to describe. I’ve yet to read the rest of this series but that has quickly become one of my highest priorities in the coming months. As for the story, it’s an amalgam of science fiction and fantasy elements with a heavy dose of spirituality and faith. Beautiful stuff and I can’t recommend it enough. 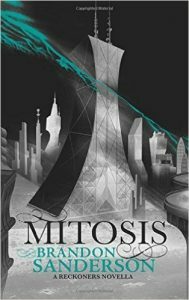 This is book two in the second Mistborn Trilogy. This trilogy is set a few hundred years after the events described in the first trilogy. It’s a world of Allomancy, Feruchemy and Hemalurgy. Take my word for it: If you enjoy fantasy/action, then there are few series better than this one. 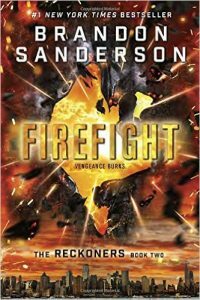 Sanderson has always been skilled at world building and compelling, intelligent plotting, but it’s with this second trilogy that he really shows off his sense of humor, something that was lacking in his early works. 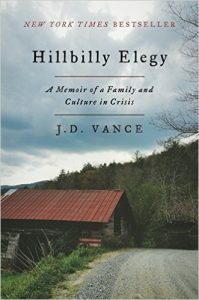 While this reflection on the culture of the Appalachian hillfolk is certainly relevant in our current political climate, I read this book for more personal reasons. My parents both come from regions of the country considered to be culturally “hillbilly”: my father from the Appalachian area of southern Ohio and northeastern Kentucky and my mother from the Ozarks of southern Missouri. They both come from working class families of Scottish or Scotch-Irish descent. I had a drastically different upbringing and family life than the author thanks to the grace of God and the good life choices of my parents and their parents and so on, and I never have actually lived in a true hillbilly culture or region myself. Due to the wide variety of places I’ve lived and their cultures, I don’t fully belong to any culture, but I feel a connection to this one on some level and wanted to learn more. This book did not disappoint. Warning: this book does contain quite a bit of strong language. I’ve read the Harry Potter books several times and count them among my favorites. This time I read this book with my boys (ages 8 and 10), and it was their first time. They enjoyed it immensely and can’t wait to start the next book. Check out fellow REO contributor Ben Plunkett’s review of this book here. 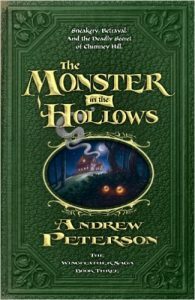 We have been reading The Wingfeather Saga (The Monster in the Hollows is the third book in the series) together as a family, one chapter a night, for several months. This is my third reading, my eldest son’s second reading, and everyone else’s first. I hope to do a more thorough review at some point, but I enjoy the entire series immensely, and wholeheartedly recommend it. On it’s own, I don’t think this book would really inspire much change in my life and habits. 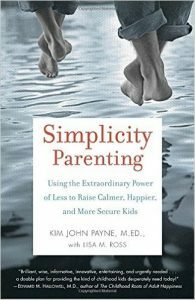 However, I found it to be encouraging and complimentary as I am attempting to implement lessons learned by last month’s reading of Marie Kondo’s The Life-Changing Magic of Tidying Up and Kim John Payne’s Simplicity Parenting. I read this book because it was supposed to be funny. It wasn’t. An unlucky, crippled Norse boy helps Odin, Thor, and Loki attempt to retake Asgard from the frost giants who captured it and banished the Norse gods to Midgard. A very enjoyable read, suitable for young adults. 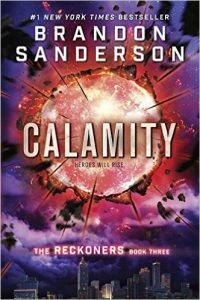 The Reckoners trilogy (Steelheart, Firefight, and Calamity) and short story (Mitosis) is Brandon Sanderson’s take on super heroes and villians. For the past decade, some ordinary people have, seemingly at random, gained super powers, but all have become evil, and chaos has ensued. The Reckoners are a group of normal people who attempt to fight back against those with super powers, called “Epics”, as well as try to discover why these people became Epics and why they are all evil. 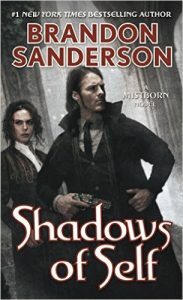 This isn’t my favorite of Sanderson’s stories, but it was still interesting and fun to read. Even the worst of his stories (and this isn’t the worst) are better than most sci fi and fantasy authors’ best stories. This series is targeted at young adults, but I think it is better suited for those at the higher end of that age range. 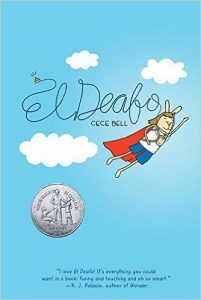 This graphic novel contains the story of how author Cece Bell became mostly deaf as a young child and dealt with being treated differently as a result. I really like the message of turning a disability into a super power. One of my kids was assigned this book for summer reading for school last year, and all of my kids absolutely love this story. 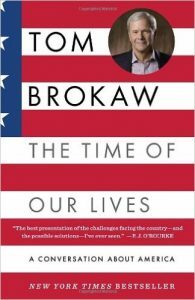 In this book Tom Brokaw describes the idea of the American dream from the perspective of the past and the present and suggests solutions we can implement in order to ensure the American dream is achievable in for future generations. I agree with him on many of the problems he describes, but don’t necessarily agree with all of the solutions. It was thought provoking though. I listened to this one rather than read it, and I do really enjoy listening to Tom Brokaw regardless of what he’s actually saying. I have no idea what a mizzenmast or a jib is. 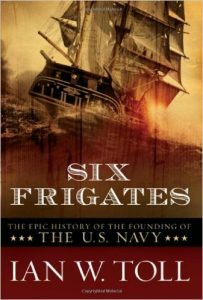 Fortunately for me, my lack of maritime vocabulary did not keep me from enjoying this book about the early days of the U.S. Navy. The author not only tells his reader about things at sea during those days, but also about the political climate in the fledgling republic that would become the United States of America. The book covers the historic campaign against the Barbary pirates and then moves on to the War of 1812. I learned a lot from this book and I recommend it to anyone who wants to learn more about early American history. 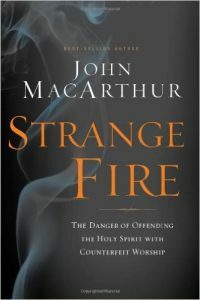 Strange Fire: The Danger of Offending the Holy Spirit with Counterfeit Worship by John F. MacArthur Jr. While I’m not a complete cessationist like MacArthur, I did appreciate his very thorough examination of the Bible’s description of the nature and work of the Holy Spirit. I also appreciate how he didn’t pull any punches when calling out the heretical words and behavior of many of the best-known purveyors of the Word of Faith movement and the prosperity gospel. I do not think it is fair, however, to use the extreme examples of charismatic theology to characterize everyone who is a part of that very large camp. Most of us here at Rambling Ever On enjoy reading. Most of us read a few books a month. Some read a few a year, and some read a few a week. Some of us prefer non-fiction and some fiction. Some read in order to be a better husband, father, employee, Christian, etc. Some read to learn. Some read just for the sheer enjoyment of a good story. In my attempts to read more about Harry Potter as a book series, I came across this on Amazon as highly recommended. 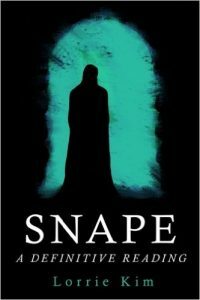 It is very much what the title communicates and there is no doubt in my mind that Severus Snape is worthy of an entire book dedicated to him. There really is no one quite like him in my fantasy reading experience and I quoted him in my wedding vows. He’s enigmatic in a the most marvelous way possible and the plot twist ending to his character arc is head-spinning and heart-wrenching. So there is much to write about. This young author, Kim, found a chord that has been struck for many years in this book and says what a lot of us feel about this enchanting character that highlights the best of Rowling’s character developing and creative story telling ability. Kim makes some acute observations to be sure, but much of it is just talking about what happened in the seven books with Snape as the eyehole to see how the magnificent plots unfurled. It is like being the silent part of a one-sided conversation. And this time I loved being the silent part. 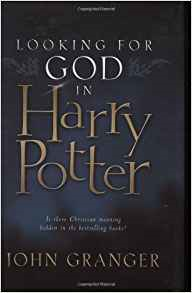 It’s a tad too long (300 pages) and repetitive, but overall I would put it as a near must-read for Potter fanatics. I was/am a big fan of the show so this book was right up my alley. 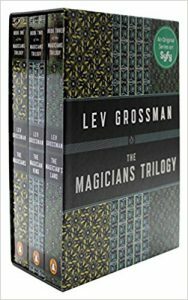 I had read quite a bit about the show before, but this book provided a lot of new information for me. I learned more about the history and the way the Seinfeld writing process worked. 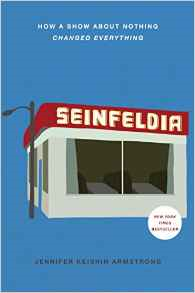 The main premise of the book is to explain how Seinfeld continues to be a force in pop culture nearly 20 years after it went off the air, unlike virtually any other show before or since. Long time fans will get the most out of Keishin’s work, but it would also be a good place to start for someone new to the show. 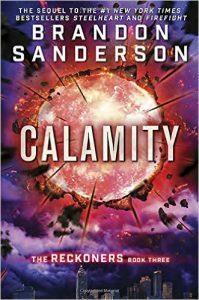 Calamity is the final book in The Reckoners trilogy. Sanderson writes fantasy and sci-fi so he is not a household name at this point. Hopefully that will change soon. This trilogy is his attempt at writing a superhero story and he succeeds in spectacular fashion. It’s also a series he wrote specifically for younger readers to be able to enjoy. So, if you have young teenagers in your home, particularly boys, introduce them to The Reckoners. 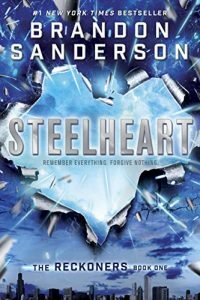 The series starts off with a bang with Steelheart and concludes with excitement, adventure and heart with Calamity. 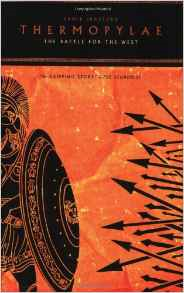 I don’t read a lot of non-fiction, but I made the exception for this story because the battle of 300 Spartans versus the greatest army in the world has fascinated me for years. This book did not disappoint. Bradford provides plenty of context, research and page-turning excitement in this brief, yet thorough glimpse of a decisive moment in world history. This book is a narrative account of the history of the video game console history focusing mainly on the tail end of the third generation (dominated by Nintendo NES) through the fourth generation (Nintendo vs Sega) and into the beginning of the fifth generation (the dismal Sega Saturn, the incredible Nintendo 64, and the almighty Sony PlayStation). 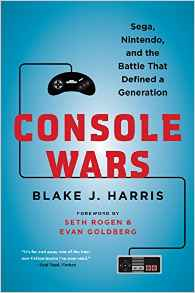 It is told mostly through the perspective of those in charge of the American divisions of Nintendo, Sega, and Sony. I was absolutely enthralled by this book, which is quite unusual for me and nonfiction; but, admittedly, much of that is probably due to how closely this relates to my experiences, both as a child consumed by video games (my personal path through this conflict was Nintendo NES to Sega Game Gear and Genesis to Nintendo 64 to Sony PlayStation and eventually back to the NES Classic Edition) and as an adult who has spent his career in the software industry. Appropriately, I got sick while reading this book. 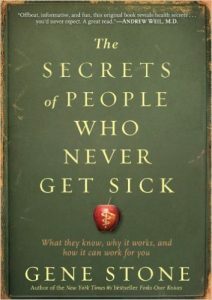 The author shares the stories and evidence for and against the health secrets of 25 people who have lived long lives and rarely, if ever, getting sick. Some of these “secrets” are things that are not within our control (such as where we’re from and inheriting good genes). Many are dietary related: some complimentary, some conflicting. Several are exercise related. A lot of them are common sense, and a few seem silly or absurd. All were interesting to read about. I’m going to go give secret #15 a shot. Napping. 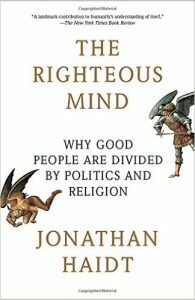 This is my second time reading this insanely popular (and often polarizing) book, though I’ve yet to completely implement the tidying program promoted within its pages. 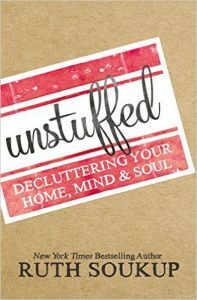 The author recommends tidying one category of possessions at a time, and I’ve managed to get through clothes and books since my first read, and I have found it to be effective and lasting. I’m nearly finished with the “papers” category and hope to tackle miscellany and sentimental items before the end of Spring. There are a few things I don’t agree with. I’ll probably never fold clothes the way she recommends, for example. 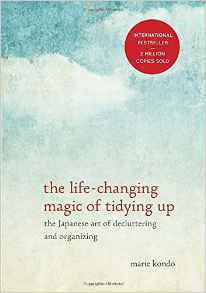 Over all, though, I found it to be refreshing and liberating to begin this tidying process, and I wholeheartedly recommend this book. 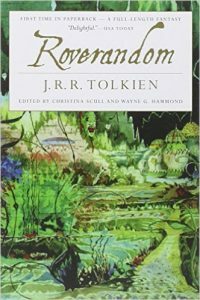 Being a near rabid fan of J. R. R. Tolkien, I purchased and read this novella when it was first published in the late nineties. I enjoyed it but only read it the once and sold the book (among hundreds of others) before moving to New York eight years ago. Last month I saw that the kindle version was available for $0.99 (which it still is at the time of this writing), so I picked it up and read it for the second time, nearly twenty years after the first. This story was first told by Tolkien to his young children in 1925 after his son Michael lost his favorite toy, a lead dog. It tells the tale of a young dog named Rover who gets on the wrong side of a wizard, is turned into a toy, and has many adventures on his quest to become a normal dog again. He goes to the moon and to the depths of the sea and many places in between. I enjoyed this second reading immensely, more than the first if memory serves correctly. I have but two regrets. First, I should have read this aloud to my children, but I will remedy that soon enough. Second, I should have read the footnotes during the course of reading rather than all at the end, for the mythology contained within is deep. 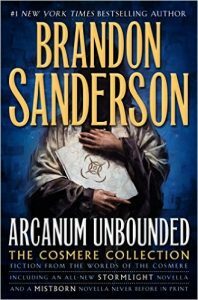 Arcanum Unbounded is a collection of short stories and novellas by master world builder Brandon Sanderson. Each short story also includes a preface explaining its place in the “Cosmere”, Sanderson’s universe that connects most of the worlds he has created, and a postscript describing the real world inspiration for that story. I thoroughly enjoyed this collection, but it should not be one’s first introduction to Sanderson’s works. It is intended for those who have read many of his stories and are interested in learning about the Cosmere connections and/or those who have read the first two books of the Stormlight series and want to read the related Edgedancer novella (the only story in this collection that has not previously been published elsewhere). 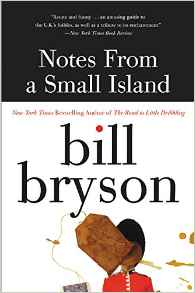 Bill Bryson taught me a valuable lesson when I read his book A Walk in the Woods: it is okay to take more than one sitting to read a book. I find a small, occasional dose of Bryson’s writing to be humorous and captivating and a large, continual dose to be annoying and approaching boring. I usually read a book in its entirety within a few days, often within a single day, but I started this book last February and have read a chapter here and there until I finally finished this month, nearly a year later. I tackled it much like he tackled the Appalachian Trail; except, of course, I didn’t skip any bits along the way. Bryson is an American who lived in England for many years; and, before moving back to the States, he made a farewell tour of England, Wales, and Scotland mostly by rail, bus, and walking. 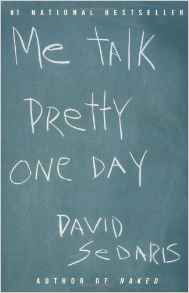 This book is an account of that journey along with whatever thoughts happened to pop into his head along the way. 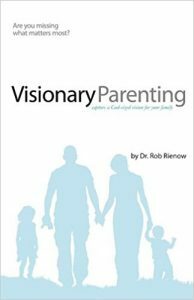 This book gave me confirmation and encouragement that we are doing some things well as parents (or at least attempting to) as well as giving me quite a few additional ideas for us to attempt to implement in order to improve our family life through simplification. Overall, it is an excellent book. There are many books about the dangers of processed food or fast food. 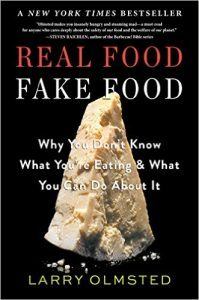 This book is not one of those but is rather about the good stuff, the high-end, supposedly pure and healthy, often expensive food and ingredients. It is also about how you may not be getting what you think you’re getting when you order them at a restaurant, even the nicest restaurants here in New York, or purchase them at the store, even the expensive specialty grocery stores. The author gives a captivating history of each food or ingredient, explains how it should appear and taste from his own experiences visiting the source, describes how it is often faked with evidence from detailed independent research, and informs how, if possible, we here in America can obtain the real thing with helpful shopping tips. This is quite possibly the best fairy tale I have ever read. 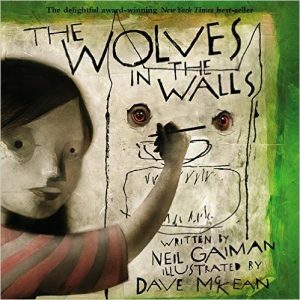 The Wolves in the Walls is a fun, silly short story that I read to my daughters… thrice. 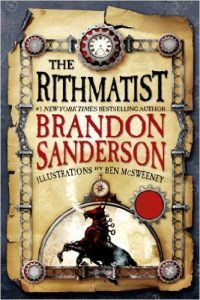 This is the first young adult book by Brandon Sanderson that I have read, and I honestly expected to find something lacking in comparison with his books for adults. My only disappointment, however, was discovering that the sequel has not yet been written. 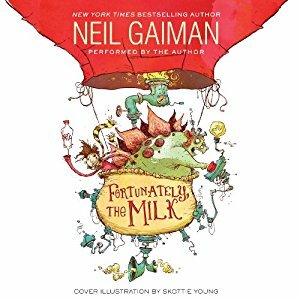 Fortunately, the Milk is another fun, silly (not quite as short) story by Neil Gaiman about a father who nipped out to the corner store for some milk for his children’s breakfast and had all sorts of adventures in time and space on the way back. I read this one with my children, and we all enjoyed it. 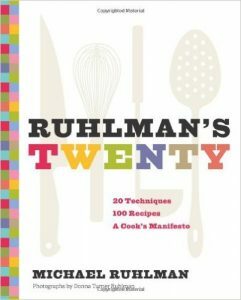 Michael Ruhlman describes 20 fundamental cooking techniques that, once mastered, should enable anyone to be able to cook almost anything. It was an interesting read. We’ll see in the coming months if it is effective. After finishing The Sorcerer’s Stone I felt at loose ends, lost, eternally adrift…Not really, but I did greatly desire to continue the Potter story ASAP. And so, after borrowing Harry Potter and the Chamber of Secrets from my niece, I plunged into its magical depths. While possibly not quiiiiite as good to me as SS, CoS didn’t disappoint. It introduces us to more fascinating characters, creatures, and a brand-new plot. As far as the characters, the ghosts stole the show. There’s Nearly Headless Nick all downcast after not qualifying for the Headless Hunt because he’s not technically headless (only nearly headless); Moaning Myrtle who haunts a girl’s bathroom and plays a key role in the primary plot; the always hilariously obnoxious and mischievous, Peeves the Poltegiest; and Cuthbert Binns, the ultra-boring ghost teacher of History of Magic who apparently has never realized he was dead. Every stinking time these ghosts enter the story in whatever guise brings more life to the story than any of the living characters. This is not at all saying that the living characters in CoS are bad. Nor is this downplaying any of the other many superb aspects of this second triumph in the Harry Potter series. But it is also not saying that it’s a perfect book. I’m not referring to the heavy revisiting of the plot of SS in the early chapters of CoS. I understand how this was necessary since at the time of the first release of CoS it had been about a year since the release of the first one. Although I do wish Rowling had done more summarizing, her taking the time to rehash was tolerable because of the excellent original plot and writing surrounding it. No, that rehashing is not why the book is imperfect. The imperfection is in the dialogue. By pointing out that CoS has an imperfection, I’m not saying this makes it remotely an inferior work. While this flaw is there, it is barely noticeable. The dialogue is mostly very fluid but tended to get stilted as though at these points Rowling was tired and just trying to fulfill her quota for the day so she could go to bed. Although these areas don’t take up a lot of space (usually anywhere from a paragraph to half a page), these areas came across as lifeless to me. But like I said, barely noticeable. And there were most of the same adult logic problems that I referred to in my SS review. Don’t get me started on the completely arbitrary point system in which any biased teacher or prefect can add or subtract points on a whim. Despite these minor logic annoyances, despite the periodic mini-wastelands, Rowling has successfully created another children’s classic. And it is a children’s classic. Remember that. Friends who are familiar with the books say they will become heavier, more adult. I look forward to this, but in the meantime, I am fully enjoying and appreciating extremely well-written children’s work.